Aldea de Santa Fe is a New Urbanist town that features the first public plaza constructed in New Mexico in more than a century. 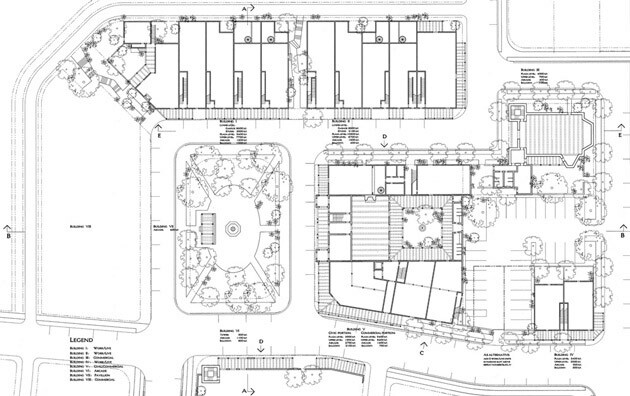 Following the town-founding charrette, Moule & Polyzoides elaborated on the architecture of the portion that includes the plaza and its surrounding buildings. 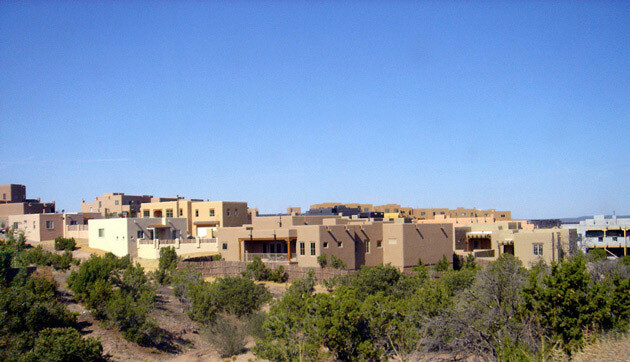 The plaza’s dimensions and proportions follow the principles of traditional plaza design in New Mexico, which are based on the concept that such a place is both the functional and symbolic center of a town. A community center building dominates the plaza and the surrounding building fabric is designed in traditional New Mexico form. The area will accommodate various uses over time, beginning with live-work and transforming into office and retail uses as the market allows. The greatest challenge of Aldea was to accommodate the Neighborhood idea, and particularly the grid of residential streets, to a hilly terrain.